I am sure you have all been enjoying fun in the snow over the last couple of days. We are sorry that the school has been closed but it is important that we keep you safe. Hopefully we will all be back on Monday. 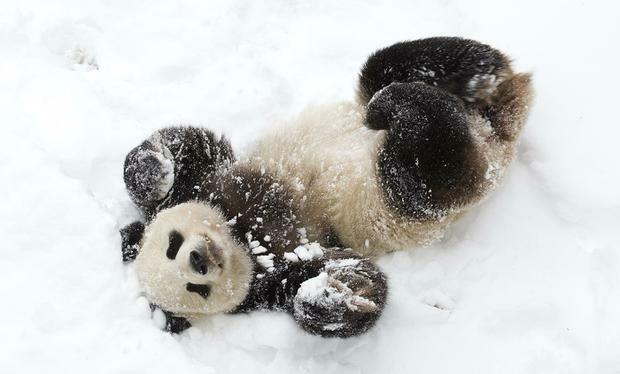 Panda has been busy enjoying the snow too! He would love to know what you have got up to- you could write him a letter, a poem or even some instructions for how to play in the snow! Don't forget to include all your super commas, time connectives and noun phrases in there. Challenge: Find out what a simile is and add one into your writing! Reading Challenge - Hang on to your World Book Day outfits, as we will reschedule this day soon. Our reading challenge has begun however, so please keep a note of how many minutes you have read each day and let me know on Monday.